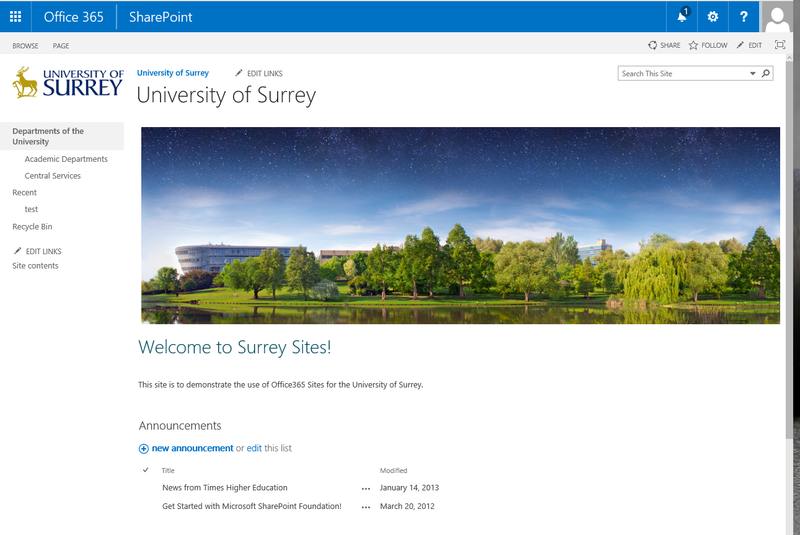 The University of Surrey had an existing on-premise implementation of SharePoint 2010, which provided a collaborative environment, areas for the storage and management of service documentation and general content creation related to the University departments. 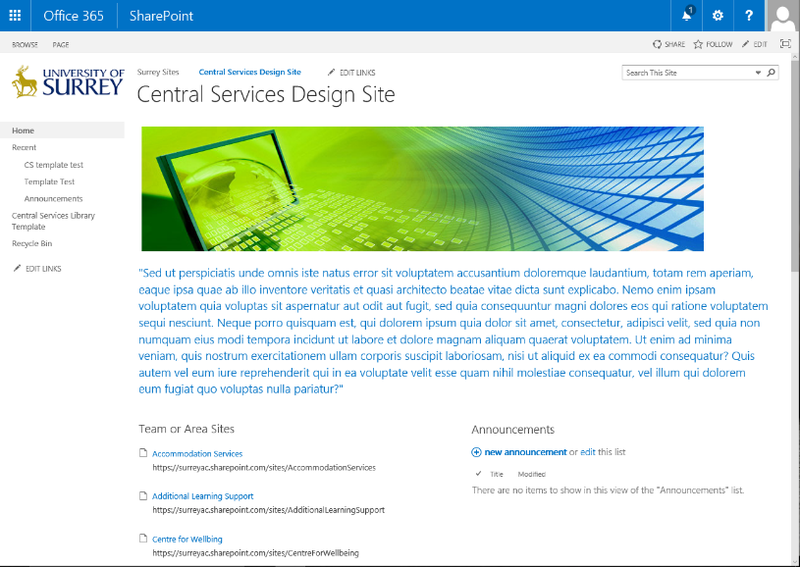 They recently implemented an Office 365 tenancy with the objective of understanding how the on-premise SharePoint 2010 environment could be migrated to SharePoint Online and what benefits would be derived from this strategic activity. To reduce complexity and duplication of content. Silversands was engaged by the University’s IT Services department to provide specialist consultancy and assistance to build a proof of concept (POC) using the Office 365 (SharePoint Online) environment. The POC was delivered and successfully addressed a range of key functional areas and new capabilities provided by SharePoint Online and the University subsequently engaged Silversands to assist with the creation of a detailed design and governance framework with a view to progressing the solution to a full implementation/rollout. If you have any questions about this case study, please fill in the attached form and we will get back to you with any information you need. Bourne Group maintains a procurement database containing supplier, project and quality information. In order to ensure consistent quality and delivery standards, they approached Silversands to modernise and improve the performance of their supplier CRM system. Silversands developed the Vessel Vetting system for a leading multinational oil and gas corporation. Designed to help mitigate the risk of deficient vessels being used for the transportation of goods by sea or inland waterways.